Hot Milk is not a perfect novel, by any means, but it can be quite enjoyable. It’s disjointed and quirky, but these are features that can be endearing for some readers. Others may be put off by it. This is the first book I have read by Deborah Levy, so I’m not sure if this dream-like prose is indicative of her style, but after finishing Hot Milk I was immediately ready for more. There’s a very ethereal quality that runs throughout the novel, but it’s all quite subtle. Some readers will likely feel “things are off,” but not necessarily be able to put words to any of it. In an early scene, for instance, the protagonist and her mother are in a doctor’s office. The doctor’s front teeth are made of gold. There’s a stuffed monkey in a glass case. The mother begins to cough. The doctor coughs. She moves her leg and the doctor moves his. After a strange exchange, the doctor randomly announces, “I think you are going to sneeze soon.” None of it is Twin Peaks Red-Room kind-of-crazy, but it’s all so peculiar. The novel is filled with these moments and also a dialogue that is unnatural. It’s intriguing, but what’s the point? 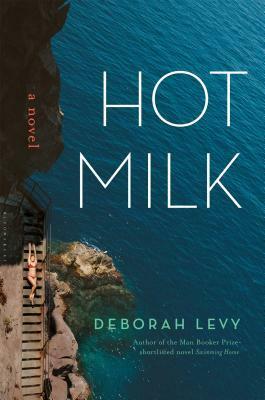 Levy seems to be addressing several different themes in Hot Milk, but doesn’t explain them. Perhaps she expects her readers to be smarter than they are. Or perhaps she doesn’t feel the need for the answers to be obvious. Though there is strong emphasis on gender confusion, the primary subject is memory. This likely explain the dream-like quality of the novel. One character states, “memory is a bomb.” At another point, the protagonist ruminates on “the way imagination and reality tumble together and mess things up.” Simple events like observing that her father was partial to dill is followed by a reflection that this observation “will become a memory.” There is so much emphasis put on imagination and dreams, matched with the surreal plot, and one may assume that this story isn’t what it seems to be. But then what is it? That answer is never obvious. Levy is a favorite for the Man Booker Prize and for good reason. Not only has she written a wonderful novel, but she’s the most accomplished of the nominees. The author of seven novels, several collections, a work of non-fiction, and many plays, Levy has won numerous awards and was previously shortlisted for the Man Booker in 2012. If the Man Booker was judged by the same standards as the Academy Awards, Levy would be a shoo-in. 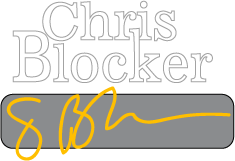 Fortunately, the Man Booker Prize judges do not have a history of awarding the most culturally significant author or the one who was slighted the last time; they tend to award the prize to the most deserving book. And while Hot Milk is a fine novel, I’m not sure it has the universality and depth necessary to take home the prize. It’s certainly possible, and I’d say its odds are much higher than the other two nominees I have so far read—Eileen and The Sellout—but in a world that seems to be simultaneously on the brink of destruction and enlightenment, the winner needs to offer something more. So far, Hot Milk is my favorite to take the prize, but there is still half the field of contenders to consider.